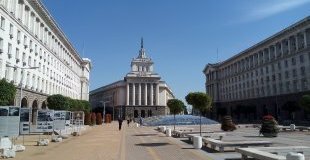 City tour of Sofia, English speaking professional guide. 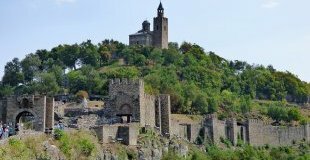 One day tour to Veliko Tarnovo and Arbanassi. Arrival in Sofia. Transfer to the hotel, accommodation. 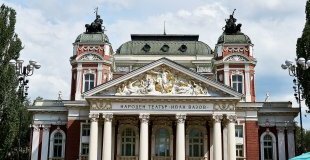 Guided walking tour of Sofia. Visit to Alexander Nevski Cathedral - one of the largest Eastern Orthodox cathedrals in Europe, as well as one of Sofia's symbols and a primary tourist attraction; St. George Rotunda, St. Sofia Church, built by the roman emperor Justinian in the 6th century, the National Theatre, the former Royal Palace, the Presidency, etc. 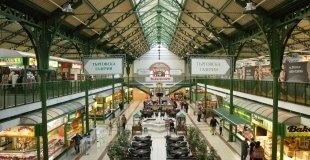 Free time in the city centre and main shopping area around Vitosha Boulevard. Overnight in Sofia. Breakfast. 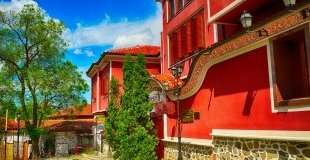 Free time in Sofia for shopping and visiting museums or, optional one day tour to Koprivshtitsa - a world famous folk festival center, representing the typical atmosphere and architectural style of the Bulgarian National Revival period. The town was one of the centers of the April Uprising in 1876 and it was here that the first shot against the Ottoman occupation was fired. 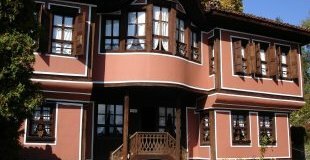 Visit to some of the most beautiful museum-houses in Koprivshtitsa: Oslekov's house, which is nowadays an ethnographic museum; the Church Dormition of the Virgin, built in 1817, Kableshkov's Memorial House, etc. Free time for a walk through the cobbled streets of Koprivshtitsa and shopping. In the afternoon, drive back to Sofia. Tour duration - approx. 8 hours. Overnight in Sofia. Breakfast. 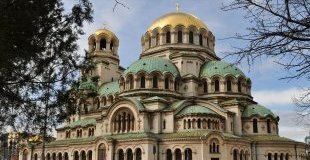 Free time in Sofia for shopping and visiting of museums or, optional one day tour to Rila Monastery. 8:00 am departure behind Alexander Nevski Cathedral. Rila Monastery is the most exquisite example of monastery art and architecture in Bulgaria. Visit of Nativity of the Virgin Church with its miraculous icon of the Virgin and splendid gilded iconostasis, the Monastery kitchen, the museum, keeping the long and heroic history of the monastery, the wonderful wood-carved cross made for a period of twelve years by a monk called Rafael, Hrelyu's Tower and many spectacular views of the mountain and the surrounding nature. Tour duration - approx. 8 hours. Overnight in Sofia. Breakfast. 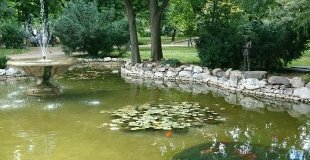 Free time in Sofia or, optional one day tour to Veliko Tarnovo and Arbanassi. Advanced booking is required. 7:00 am - departure behind Alexander Nevski Cathedral. 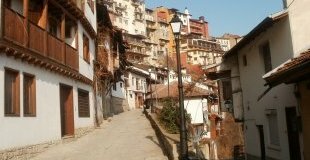 Veliko Tarnovo, the capital of the Second Bulgarian Kingdom, is superbly situated on four hills. The houses are at the foot of the hills, perched one above other, crowning the steep streets with their gables. Here are preserved the remains of the old fortress built around the banks of Yantra River. Several mediaeval churches connected with Bulgarian history can be seen as well. The houses in the village of Arbanassi resemble fortresses on the outside and are artistically fashioned and beautifully decorated inside. A former residence of the communist leader Todor Zhivkov is also situated here. The tour ends behind Alexander Nevski Cathedral. Tour duration - approx. 11 hours. Breakfast. 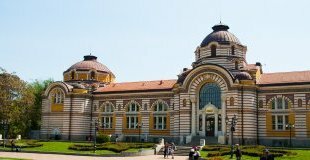 A free day in Sofia or, optional half day tour to Boyana Church and National History Museum. Advanced booking is required. National Museum of History in Sofia is one of the largest history museums on the Balkans with 650.000 exhibits and the largest archaeological and historical archive. The Museum's collections are its greatest treasure. They comprise materials from Prehistoric ages till nowadays. The National Museum of History was established on 1973. 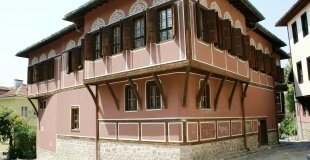 In 2000, the museum shifted to a new location in the former residence of Todor Zhivkov in Boyana. Boyana Church is a medieval Bulgarian Orthodox church situated in the Boyana Suburb, near Sofia. The monument is included in the UNESCO World Heritage List. This site is one of the most completely and perfectly preserved monuments of east European medieval art. The frescoes in the church, painted in 1259, make it one of the most important collections of medieval paintings. Tour duration - approx. 3 hours. In the evening (upon request) - evening panoramic tour "Sofia by night" and dinner at traditional restaurant with folklore music and dances. Overnight in Sofia. Breakfast. 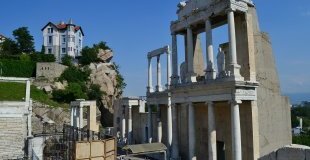 Free time in Sofia or, optional one day trip to Plovdiv - European Capital of Culture 2019. 8:00 am - departure behind Alexander Nevski Cathedral for Plovdiv. Sightseeing tour the Old Town, including a visit to the Roman Ancient Theatre, which was build in the 2nd century AD under the rule of the Roman Emperor Trajan and is nowadays considered to be the largest surviving Roman construction in Bulgaria, visit to the Ethnographic Museum, the Roman Stadium, St. Constantine and Helena Church, etc. Drive back to Sofia. Tour duration - approx. 8 hours. Overnight in Sofia. Breakfast. 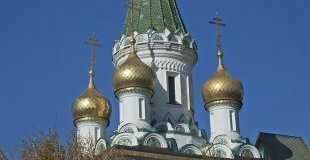 Free time in Sofia or, optional one day tour to Melnik and Rozhen Monastery. Departure at 8:00 am behind Alexander Nevski Cathedral. Advanced booking is required. Melnik is the smallest town in Bulgaria. Original medieval houses, together with the ruins of a fortress are preserved here. 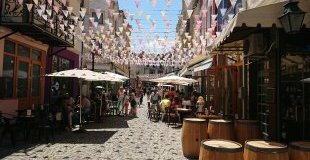 The town is famous for its wine cellars producing the best red wine in the country. Wine tasting is included in the tour. The nature around is picturesque and you can see the biggest rocky pyramids in Bulgaria. The 13th century Rozhen Monastery is situated to the east of Melnik. 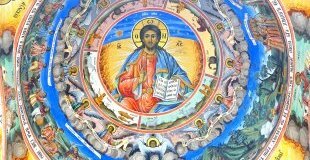 The iconostasis, the wood-carvings and the miraculous icon of Virgin Mary in the monastery church are real masterpieces. Tour duration - approx. 10 hours. Overnight in Sofia.